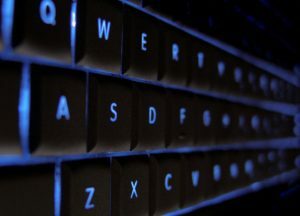 As the number of complaints have continued to grow, users are reporting that the keyboards can fail when exposed to dust, crumbs and other debris. Apple has now made an official announcement acknowledging that there is a problem and is now offering an extended keyboard service program. The service covers individual keys or the entire keyboard, depending on the nature and severity of the problem you’re experiencing, and extends protection to four years from the date of purchase. That’s a warranty of unprecedented length, being even longer than the warranty available via Apple’s “Apple Plus” program. While the company was slow to get involved initially, this is clearly a sign that they take the issue seriously and mean to do all they can to correct it. Note that the extended warranty only extends to the keyboard, and only to the two products mentioned above, with “butterfly switches.” If you’ve recently purchased one, keep a close eye on the functionality of your keyboard. If you notice any of the behaviors outlined above, don’t let your frustrations mount and simply put up with it. Apple may have been a little slow on the draw in this instance, but they’ve got you covered.